The Visible Poetry Project was founded in 2017 with the goal of bringing together a collective of filmmakers to create a series of videos that present poems as short films. Drawing from works created by renowned poets, including Neil Gaiman and Tato Laviera, as well as emerging poets, the Visible Poetry Project strives to make poetry accessible, exploring how we can recreate and experience poems through the medium of film. Throughout the month of April - National Poetry Month - we release one visual poem each day. An exercise in translation and a reclamation of both poetic and film discourses, the resulting thirty videos explore how we read, interpret, visualize, and hear poetry. If you would like to be involved with the Visible Poetry Project, or have any questions about our organization, please don't hesitate to reach out to us at visiblepoetryproject@gmail.com. Michelle Cheripka graduated from Columbia University, and has since been working in film and media production. She wants the Visible Poetry Project to help poets and filmmakers explore interdisciplinary approaches to visual self-expression. Tamsin Pargiter is involved with helping the Visible Poetry Project expand however she can, including through podcasting, event production, and pursuing institutional sponsorships and artistic collaborations. She hopes the intersection of visual, auditory, and poetic mediums can re-define what poetry is capable of, who can be considered a poet, and how poetry can impact us. Martin Clark works in business development at Nielsen helping some of the largest advertisers with their digital marketing. Martin is interested in exploring the intersection between poetry and film with the Visible Poetry Project. He hopes VPP can serve as a platform for individuals with unique voices and perspectives to find and develop their craft through uninhibited creative expression. CJ Strauss is a Junior at Barnard College majoring in English. Poetry has been a passion of theirs for many years and they hope that the Visible Poetry Project will expand and diversify the medium. An NYU graduate with a master's from Tsinghua University, Alex Max has been working in television and media production for several years. Hooked on the idea since Michelle first approached him on set, he looks forward to ensuring that the Visible Poetry Project becomes an important and enduring part of National Poetry Month. Alina Sodano is a graduate of Barnard College, where she studied English and Film. Thus the Visible Poetry Project was the perfect merger of her two great passions! Alina's favorite thing about the Visible Poetry Project is the collaborative spirit of all involved, and the global community of artists that has since materialized. Check out her website here. 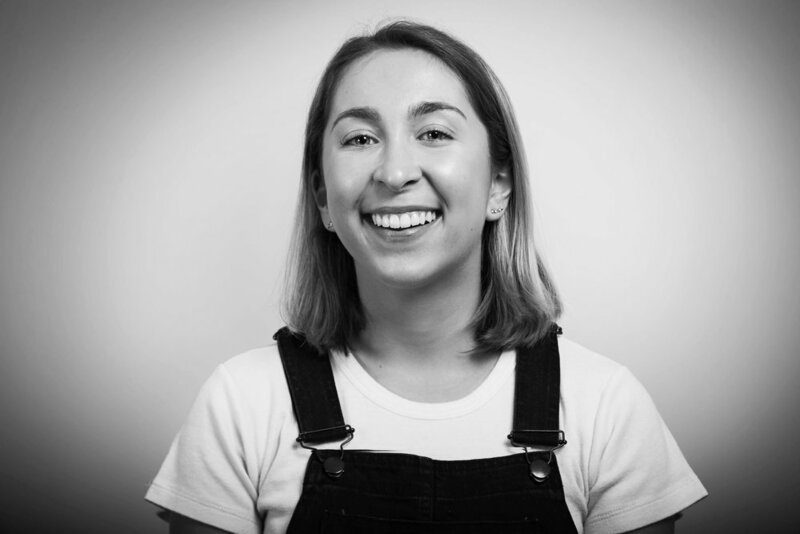 Hannah Boysko graduated from Barnard College and has worked in the nonprofit world as an educator, program developer, and administrator since then. She currently serves as a Poetry Reader for The Adroit Journal and writes essays, poetry, and sketch comedy. Hannah is passionate about Visible Poetry Project’s dedication to increasing poetry’s accessibility and exploring the intersections across mediums. Sahil Ansari is a Brooklyn-based record producer, instrumentalist, and composer. He hopes the Visible Poetry Project can help connect the dots between words, vision, and sound, inspiring filmmakers and poets alike to defy prescriptive creation. Check out his website here. Christina Ellsberg graduated from Barnard College, where she studied medical anthropology and poetry writing. Christina hopes the Visible Poetry Project will encourage new poets to take pride in expression beyond formal publication. Sarah Sparkman graduated from Columbia University with a degree in film studies and has been working in production for Nickelodeon, National Geographic, and NBC. She’s excited to see the Visible Poetry Project create a community of creatives using their art to intentionally start conversations and create dialogue. Simone Norman is a freelance casting director in addition to being an actress and comedian. You can catch her performing each week at the People's Improv Theater where she is a resident house improviser. She loves using her creative connections in the industry to cast the videos that bring written poetry to a visible screen. Fill out the form below to be added to our listserv to get updates on any and all things Visible Poetry Project!